This week, Roethke's beautiful and mysterious poem, The Waking. I'm interested to hear your thoughts on what it means. I don't believe there's one right answer. Notice the poem's form--the villanelle. You may recognize it from Dylan Thomas's famous poem Do Not Go Gentle Into That Good Night. The villanelle form enhances this poem's content brilliantly. 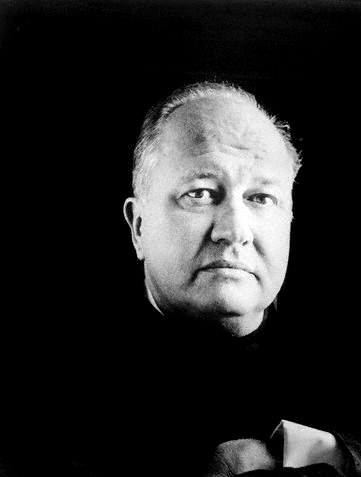 Theodore Roethke (1908-1963) was born in Saginaw, Michigan. Stylistically his work ranged from witty poems in strict meter and regular stanzas to free verse poems full of mystical and surrealistic imagery. At all times, however, the natural world in all its mystery, beauty, fierceness, and sensuality, is close by, and the poems are possessed of an intense lyricism. How incredibly appropriate a poem for your big days now here and ahead....though you have lived some dashing days, and many of them, already. As a an artist and a woman, I salute your love of the art of poetry and it is always a pleasure to read what you have chosen so very well. life is the big sleep, not death. when i die i will be fully awakened from the dream; so i will take my time and do what i need to do, where i need to do it, and i will take the wisdom that i may gain and hope it is of some use. i agree, i don't think there can be one right answer to what this means because the journey, or waking, is very personal for each one of us. it's a beautiful poem. thank you. PS: Hilarious little about me type thing you have going. This poem is so fluid, ambient, and circular, that it’s hard to read certain meaning from it, however, the refrain “we learn by going, where we have to go” made real sense to me. It seems that we discover what it means to be alive, even as we live … and present effect is the seedbed of tomorrow’s cause. This is lovely! One of my personal top 10 you've posted yet. Just love the flow and feel to this piece. PS - Go Sarah! The only person on the presidential tickets that has actual executive experience. This is a wonderful poem and a model of the villanelle. I believe it was written shortly (like a day or so) one of those time when Roethke would have himself (or ask others to do it for him) admitted to the hospital. He was rather famous for the manic moments when he would communicate with nature. In those moments of clarity, of light--for all of us--there is nothing but paradox and wonder, and who wouldn't want to ask slowly. . . ? I don't mean this in a bad way, of course! Societal concerns aside... I just hope that as technology further innovates, the possibility of uploading our brains onto a digital medium becomes a true reality. It's a fantasy that I daydream about all the time.